In addition to advancing initiatives such as waste management and forest conservation efforts, the Montes Alpha Cabernet Sauvignon is now produced entirely from dry farmed vineyards in the Colchagua Valley, utilizing irrigation only when absolutely necessary. Dry farmed vineyards typically produce higher quality fruit, with a higher ratio of skins to juice yielding more concentrated flavors (excessive irrigation results in more plump berries). But adopting dry farming does more than just improved quality, it also translates to a roughly 65% reduction in water usage. 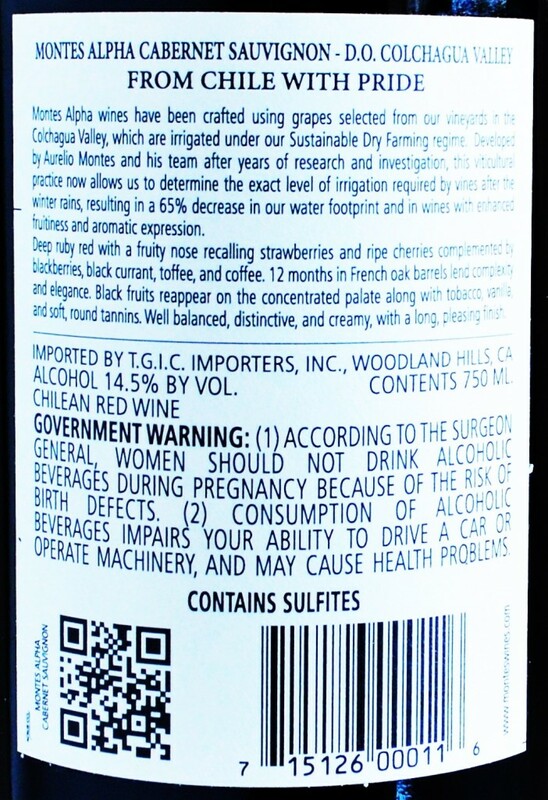 Better wine that’s better for the environment? I’ll raise a glass to that! Appearance: Pours quite dark, turning a deep shade of ruby at the rim. Nose: Aromas of black cherry, plum and blackberry are interlaced with coffee, toasty oak and green olive. 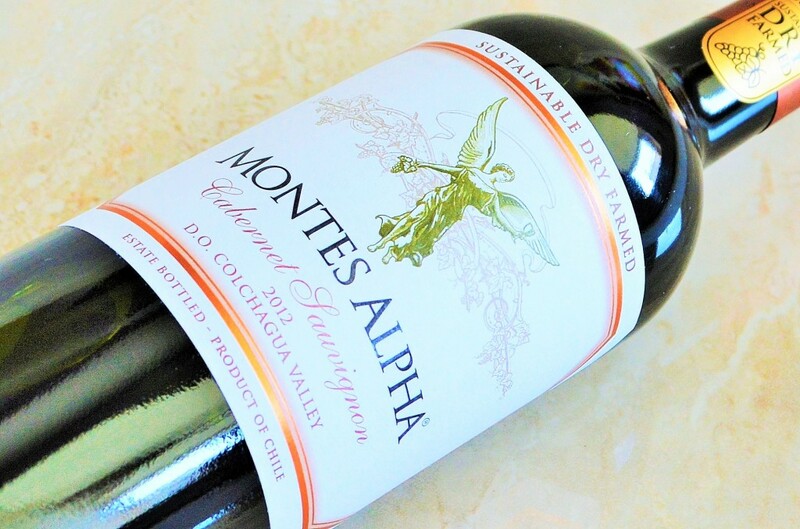 On the palate: Medium to full-bodied, the Montes Alpha Cabernet Sauvignon is surprisingly bold and structured for such a reasonably priced wine. It boasts a creamy, dense core of blackberry, currant, plum and black raspberry flavors underscored by green olive, coffee, loamy earth and spice nuances that linger on the long, somewhat toasty and grippy finish. A really solid, stylish effort. Should you buy? 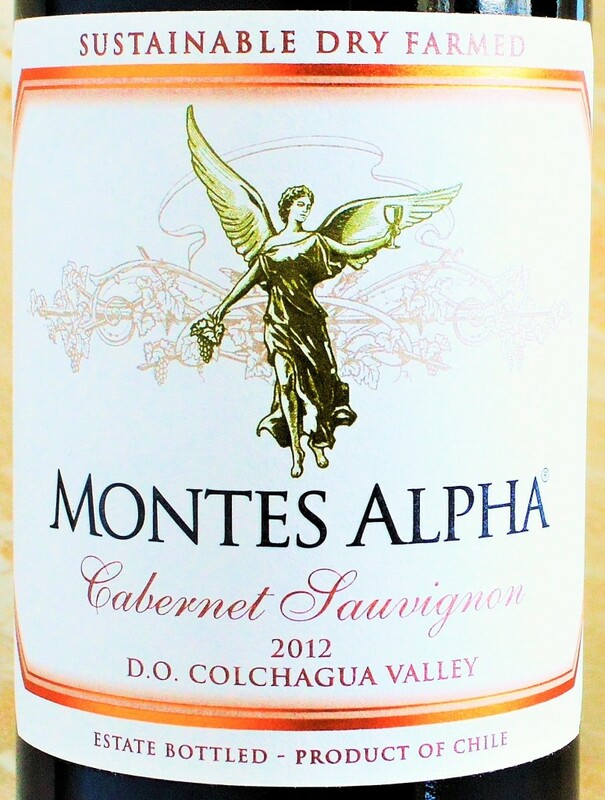 The Montes Alpha Cabernet Sauvignon is a stunning value in Cabernet Sauvignon. If you’ve been searching for bold, stylish Cabernet Sauvignon on a budget then you’d be remiss not to discover this Chilean gem by Montes Wines. For other solid Cabernet’s under $20, click here! 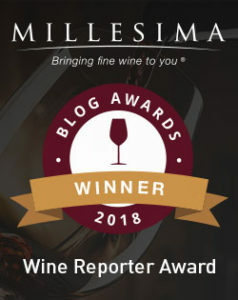 While I cant speak to the increase in quality per se (having not had the Montes Alpha Cabernet Sauvignon before), I can speak to the surprising level of quality that the 2012 Montes Alpha Cabernet Sauvignon delivers. Rich, expressive and refined, this is one of the best Cabernet Sauvignon’s you’ll find for under $20. One of the many criticisms of high-volume wine producers is that they focus considerably more on the bottom-line than they do on the sustainability and reducing their environmental impact. In a time when preserving our natural resources and caring for the environment has become a global concern for many, it is so refreshing to see a larger scale producer taking much needed steps in the right direction. Montes has upped their game on social responsibility, and it tastes really good. Love all Monts wines. Solid & great value!